Emerging Church seems to have something of the soap bar about it that post-modernity had. We kind of know what people are alluding to when they use the term but certainly would not want to try to guess precisely what they mean. In fact there is a very high probability that they don’t know exactly what they mean by it! However, like post-modernity it seems that it is a significant issue we should be wrestling with and one that will potentially change the landscape that we are familiar with and take for granted. In the first of two issues we open up some possibilities. Richard Tiplady explores some models of emerging church and looks at their roots and implications for missionary practice. Jonathan Ingleby suggests that emerging church is simply the church contextualising to post-modernity. Paul Tester looks at applying some emerging church thinking to a real life situation where traditional church models are making limited inroads. Finally we have Darrell Jackson painting the wider picture of the current state of evangelical and ecumenical missiology in Europe. However, it is truly a picture that Darrell paints as he has used a mindmap and given some explanatory notes to help you begin to engage. We want you to engage with it. Email us your reflections on it before March 15th and if they are judged to be the most innovative and engaging they will win a copy of Chris Wright’s “The Mission of God: Unlocking the Bible’s Grand Narrative” (reviewed in issue 17). We will publish all reflections received in a letters page next month. 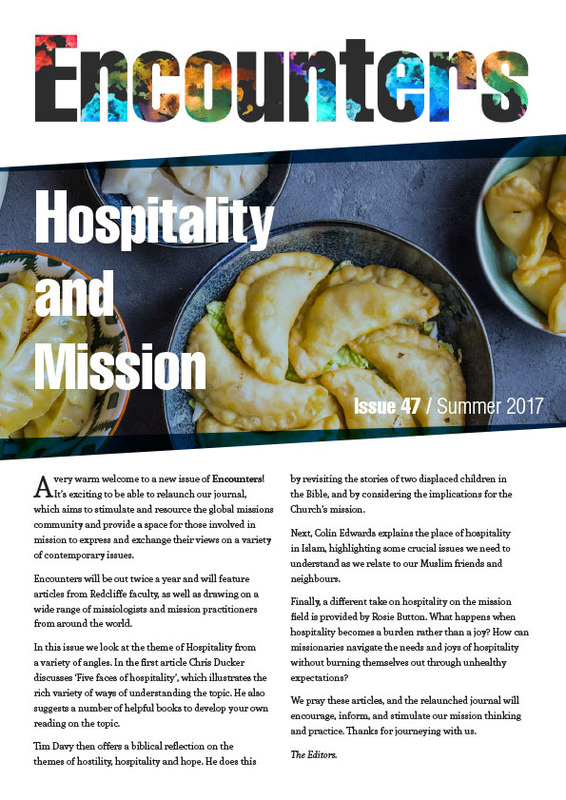 The next issue will continue the theme of Emerging Church with a number of papers from the Global Connections Thinking Mission Forum. As always we hope you enjoy Encounters and are provoked and stimulated to think and engage. Emerging Church? New thinking about the church in Europe in the 21st century. The Church in a Postmodern Society. Evangelical and Ecumenical Missiology in Post-Communist Europe Mindmap. Insights into the Mind(map) of a European Missiologist. Book Review 1: Darwin’s Angel: An angelic riposte to The God Delusion. Book Review 2: Grove Books: A selection of books received. Issue 22: Single Document Version (in full).